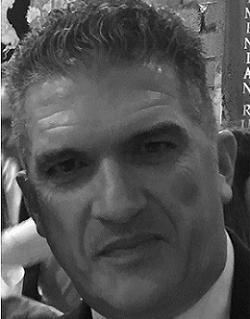 George Drakopoulos, a tourism expert with more than 30 years experience, is the founder and ceo of tourism generis, as of May 2015. During the period 2014-2017, he served as a Special Adviser to the Secretary General of the United Nations World Tourism Organization (UNWTO) in PPP (Public Private Partnerships). As from 2018, he cooperates with the UNWTO as an Expert Consultant. Served as Counselor in the European Economic and Social Committee (2010-2015), as Chairman of the Affiliate Members of the UNWTO (2012-2013) and as Director General SETE-Greek Tourism Confederation (1997-2014). Enjoyed 7 years working in various hotels in Greece. Delivered speeches and presentations in more than 420 national and international conferences, while he has produced 50 studies / publications and 700 articles about Tourism. Holds a MSc in Tourism Studies from the University of Surrey, UK. He has also studied Tourism Management, TEI Athens, GR and trained in Hotel Management in Glion, CH. Communicates effectively in Greek, English, French, German and Spanish. Specialized in lobbying and tourism development.